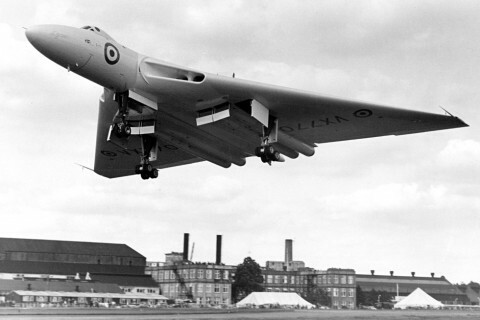 Development of the Avro design continued at the company’s factory at Chadderton, Manchester, with the first prototype being readied for its maiden flight during the summer of 1952. 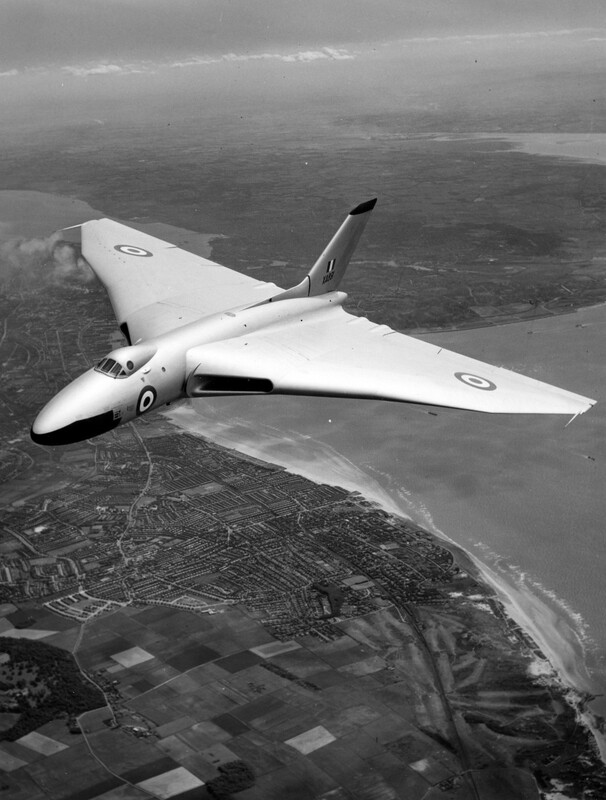 Designated Avro Type 698 (the name ‘Vulcan’ was not bestowed until later in the year), the aircraft was taken in component form by road to the company airfield at Woodford, near Stockport, where it was assembled. 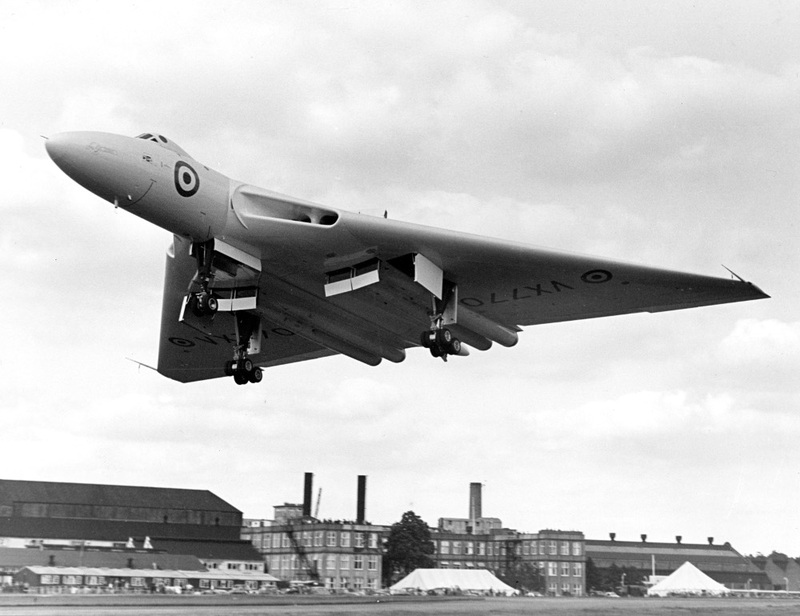 It made its maiden flight, in the hands of Avro’s Chief Test Pilot, Roly Falk, on 30 August, and the following week it made a sensational first appearance at the Farnborough Air Show. At the time, it was the largest delta-winged aircraft ever built. 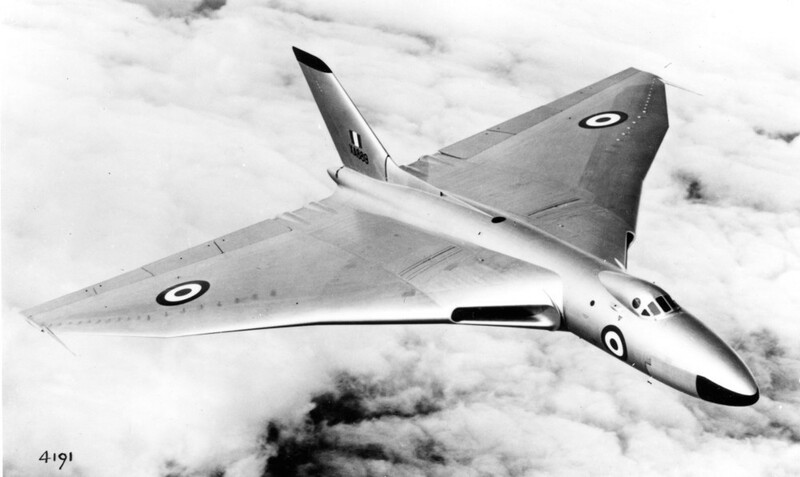 Both the Avro and Handley Page designs had been ordered into production for the RAF in July 1952, although problems with the design of the Vulcan’s wing, which necessitated a complete redesign of the leading edge, delayed its entry into service until July 1956. 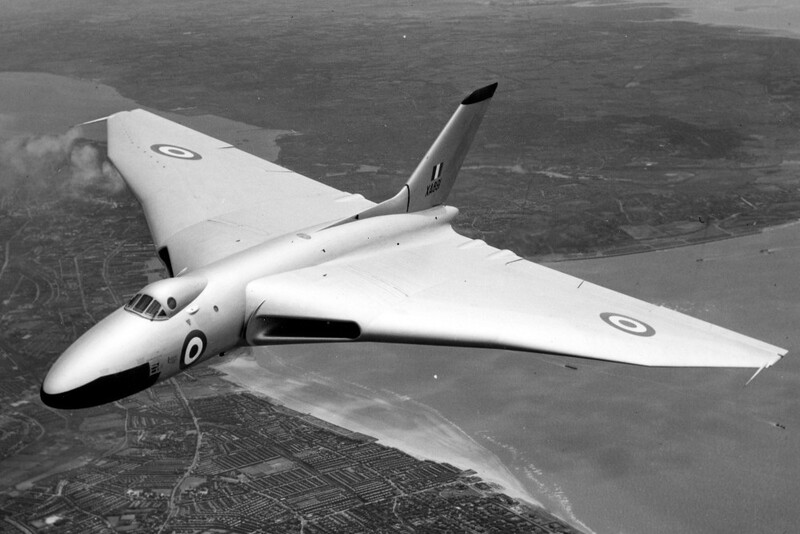 The Handley Page bomber - by now known as the ‘Victor’ - began entering service in November 1957. Together, the Vulcan, Victor and Valiant were known as the ‘V-Bombers’, and collectively they formed what became known as the ‘V-Force’. The new bombers were flown by elite, hand picked crews, in what was the most powerful aerial strike force the RAF had ever possessed. Of the five-man crew, only the pilot and co-pilot were provided with ejection seats. In the event of an emergency, the two navigators and air electronics officer had to escape via the crew entry door in the floor of the cockpit.